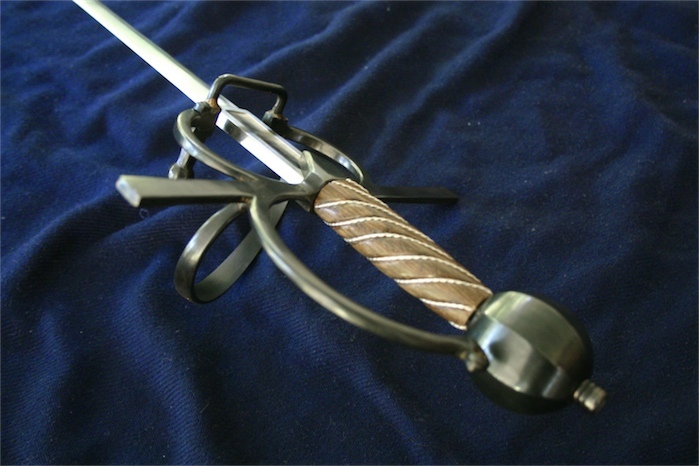 Here's a rapier I just finished...pretty simple in its details, nothing too fancy. 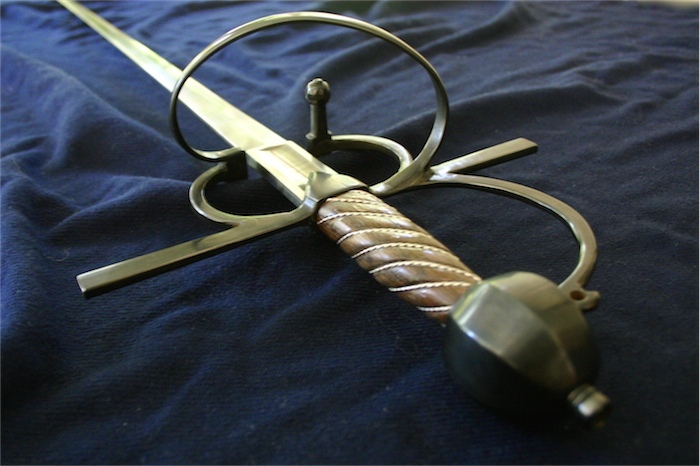 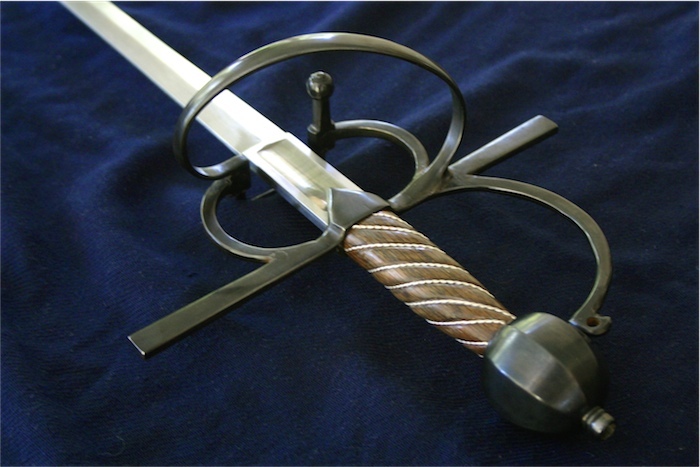 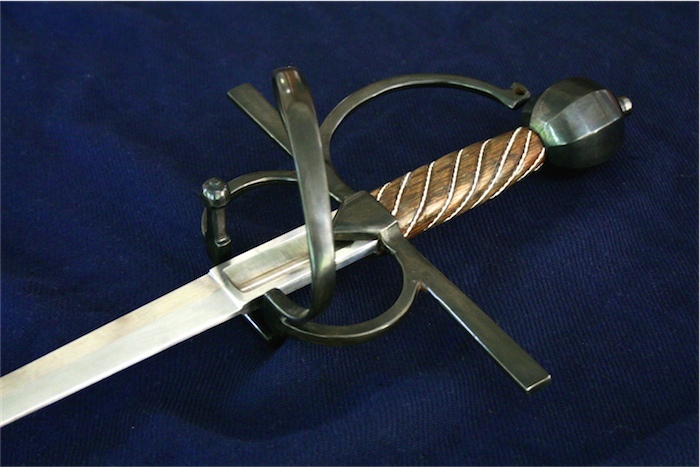 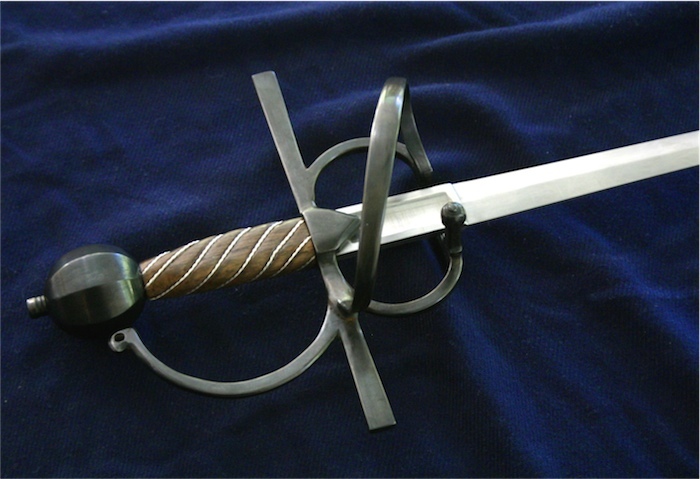 The hilt is steel, all welded construction except for the counterguard which is inset and brazed. 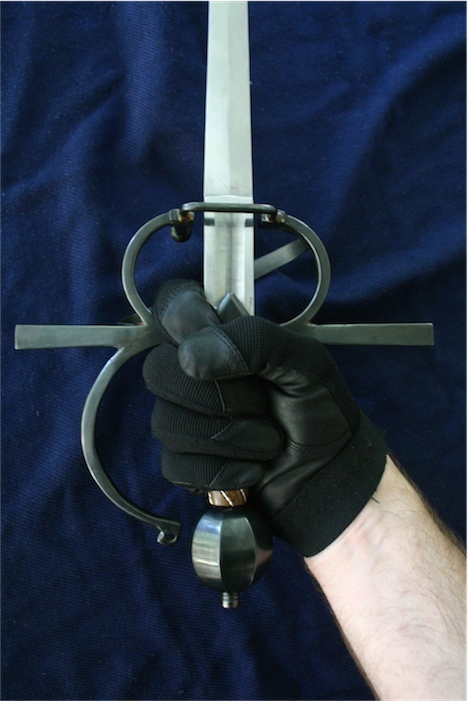 Its mounted with a 35" Hanwei Practice rapier blade with a fullered ricasso. 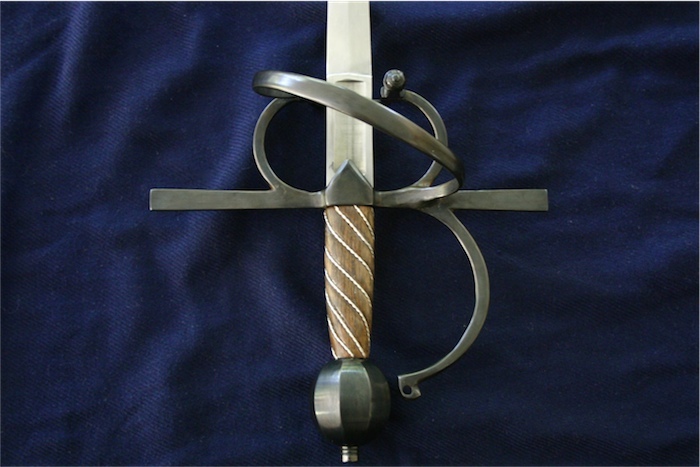 The pommel is secured with a 6mm recessed allen nut and the grip is spiral carved hardwood. 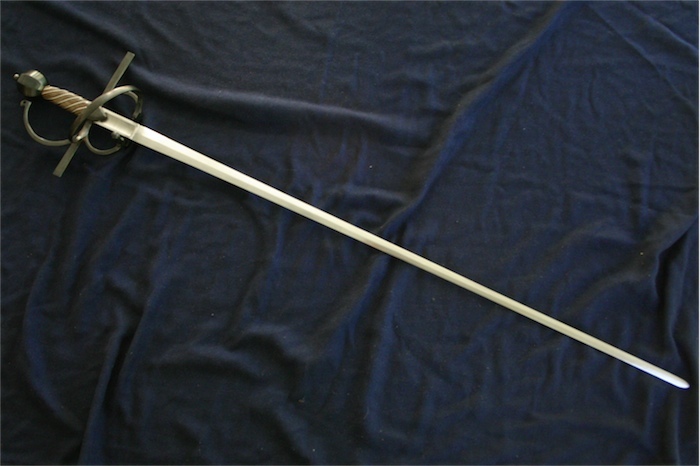 If you're of the stage combat persuasion and like a lighter blade, I also have a 35" diamond schlager blade that can be mounted instead.